News Two Ladies Has Been Arrested For Selling Marijuana At A Church! 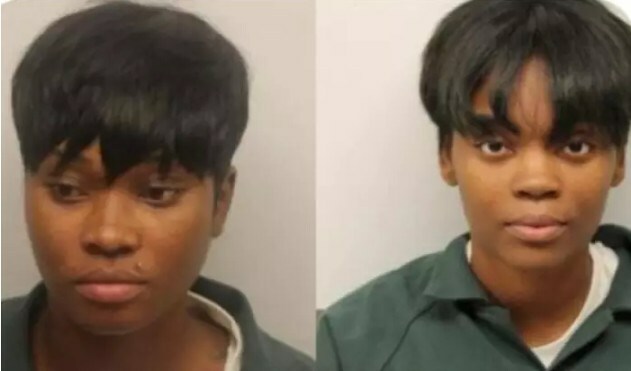 Two Ladies Has Been Arrested For Selling Marijuana At A Church! News has it that a 28 year-old lady, Ebony Cooper, was serving up edibles including cereal, brownies and puddings — that contained marijuana inside the church, at a church event, said by authorities. She was even selling the prohibited drugs openly , said by the Police. Ebony allegedly advertised that she would be selling the illegal baked goods on social media, before going to the church. Police sent undercover narcotics agents into church and bought several items from Cooper then followed her to 26-year-old Leah Pressley’s car, which they searched. The search allegedly turned up a large number of marijuana edibles, also more than $1,000 in cash and a loaded gun. Both Cooper and Pressley were arrested and booked at Chatham County Detention Center on felony drug charges, authorities said. Meanwhile,they were arrested at a church in Savannah, Georgia, according to the Chatham-Savannah Counter Narcotics Team.